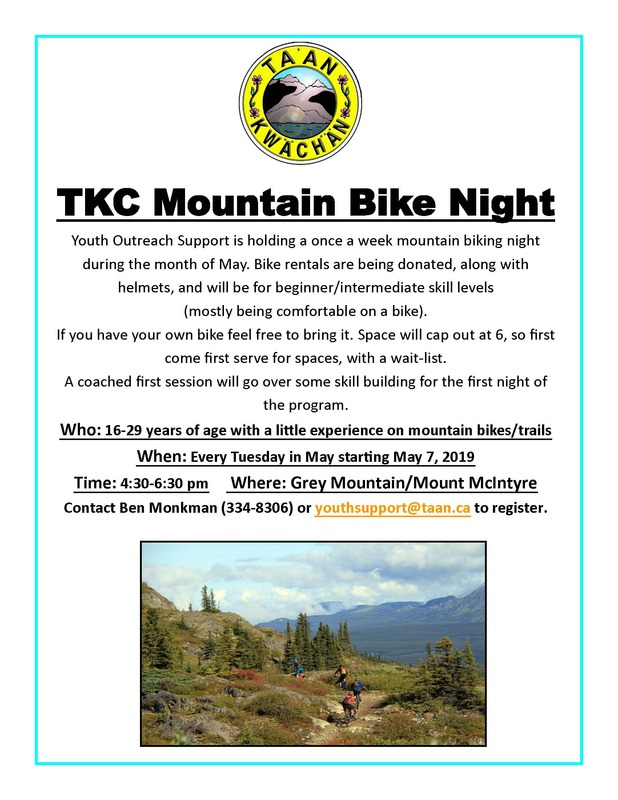 Youth Outreach Support I holding a once a week Mountain Bike Night during the month of May. Bike rentals are being donated, along with helmets, and will be for beginner/intermediate skill levels (mostly being comfortable on a bike. If you have your own bike, feel free to bring it. There are only 6 spaces available, and will be filled on a first come, first served basis, with a wait list. A coached first session will go over some skill building for the first night of the program. 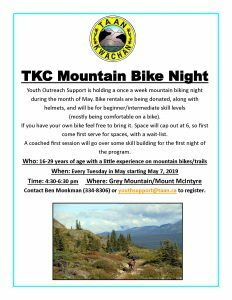 Who:16-29 years of age with a little experience on a mountain bike/trails. Time: 4:30 to 6:30 pm. To register, contact Ben Monkman at 334-8306, or email youthsupport@taan.ca.